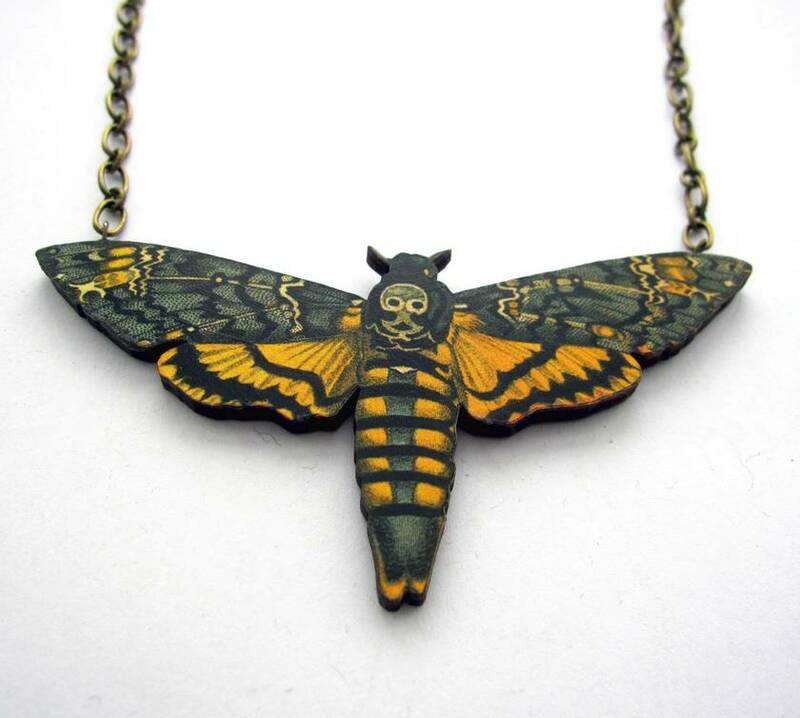 This striking necklace has been made with a woodcut pendant. 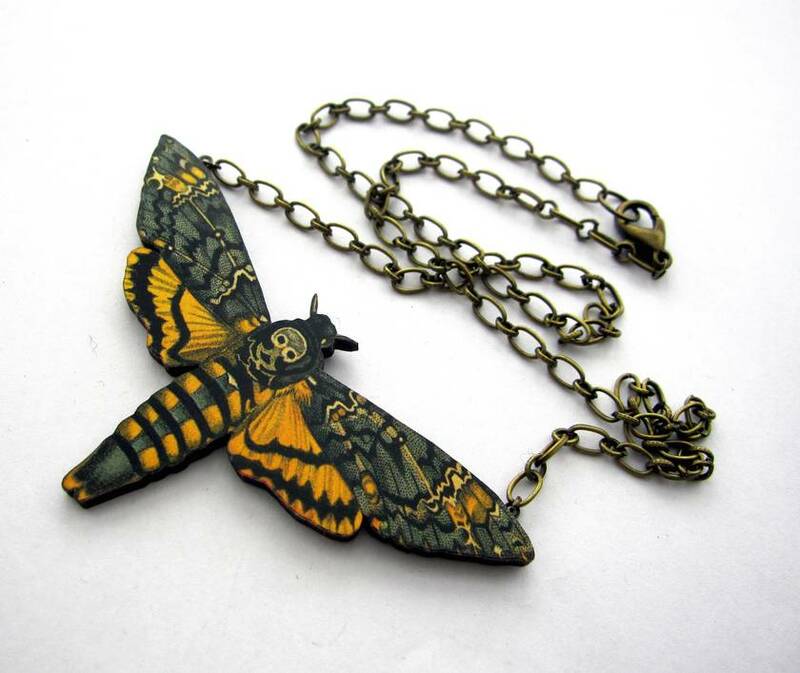 The moth is made by taking a vintage illustration, applying the paper image to wood board and cutting with a laser cutting machine. 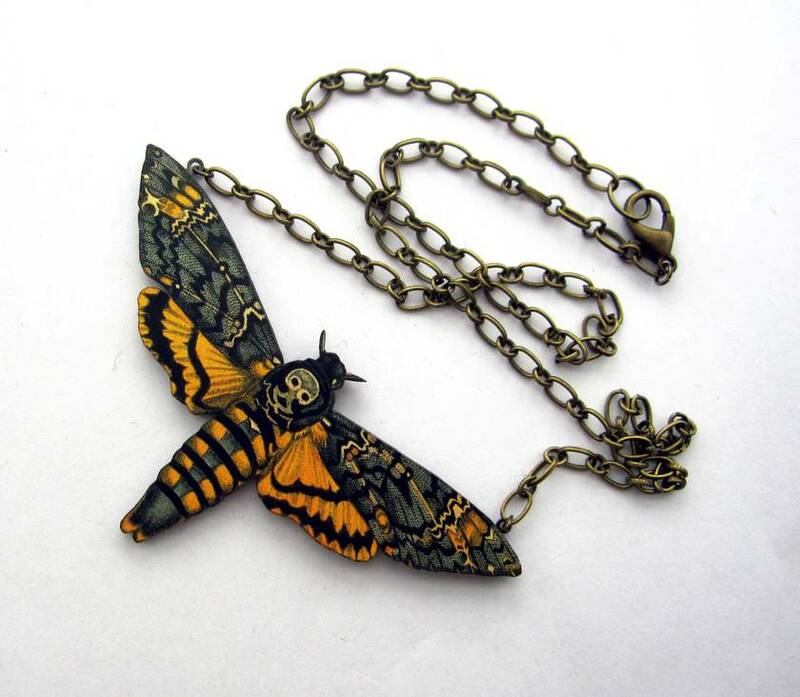 The moth has a 9cm wingspan, reverse is painted black, and multiple coats of matte varnish applied to protect the pendant. 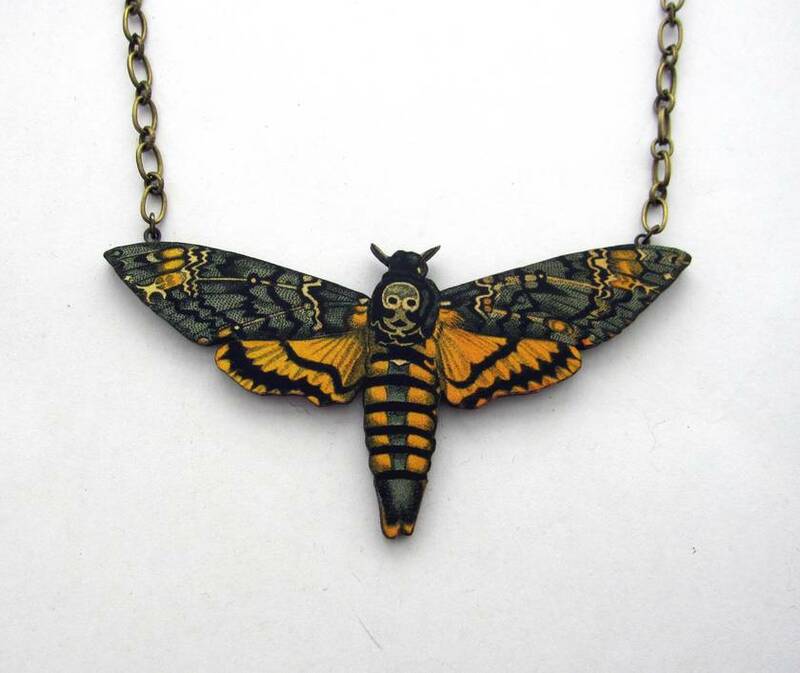 The total necklace length is 56.5cm / 22.25 inches - though due to the size of the pendant this doesn't have the 'drop' a necklace of this length usually has.